Will Ross call on Crowley? FREMANTLE coach Ross Lyon says he can't afford to mollycoddle Luke McPharlin as the veteran defender digests the prospect of missing out on a farewell flag. But Lyon has left the door slightly ajar for Ryan Crowley to make a dream return in Friday night's preliminary final against Hawthorn in Perth. McPharlin is no certainty to play again this year after re-injuring his troublesome calf in the lead-up to the qualifying final win over the Sydney Swans a fortnight ago. The 33-year-old is almost certain to miss Friday's match against Hawthorn, and he faces an uphill battle to win back his spot even if Fremantle reaches the Grand Final. Such is the doubt surrounding McPharlin's fitness, Lyon even floated the prospect of using the 256-game veteran as a forward in the Grand Final if he can get up for the game. Lyon feels for McPharlin, especially if the former Hawk retires at the end of the year. But he isn't dwelling on McPharlin's potential heartbreak. "You can't sit around and wallow in your own misery," Lyon said on Monday. "That doesn't work at AFL level. I just worry about the ones I have. "I haven't got the luxury of cuddling people on a 24-hour basis. I give them a little cuddle and move on. "The injury bobbed up out of nowhere. "I asked him to give everything he can to get back as quickly as he can, and that's all you can do." Crowley's 12-month ban for doping ends this week, meaning he's free to play against the Hawks. In 2010, then-St Kilda coach Lyon recalled Steven Baker for the Grand Final despite the tagger's 12-week absence from the team. Last week, Lyon effectively ruled Crowley out of contention for a recall this year. But his stance softened somewhat when probed about the issue again on Monday. "He's a chance isn't he," Lyon said. "It's been done before, it can be done again. It's unlikely, but it's a chance. "We've had a few injuries around the edges. Does that open it up? Possibly. "No one will know until the ball's bounced, will they." Forward Matt Taberner is a strong chance to earn a recall after booting five goals in the WAFL two weeks ago. Skipper Matthew Pavlich is a certainty to play despite wearing a moonboot last week to manage a lingering issue with his Achilles tendon. 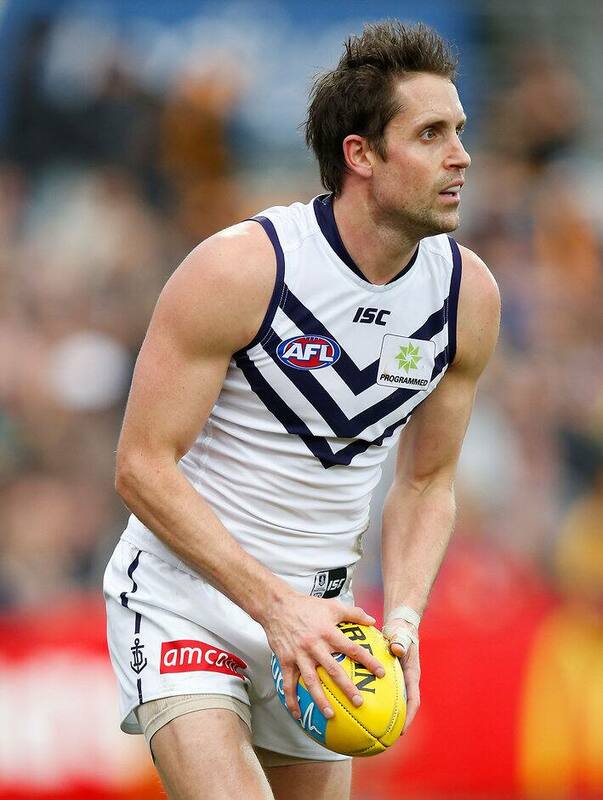 Pavlich has also been the subject of retirement rumours, but the 33-year-old flatly dismissed suggestions he had already made up his mind to hang up his boots at the end of the season. Lyon echoed Pavlich’s sentiments and said he had not spoken to the captain about his future. "It's not a discussion that has been broached," Lyon said. "It's been a kite flown in the media."